Here is my first attempt of Jupiter through the telescope. I used a ScopeTronix adapter (Maxview Plus) to connect my Finepix 4700 to the Meade 60EQ-A. The Maxview Plus is basically a 40 mm eyepiece that has a T-thread that can be connected to the camera. The image is totally overexposed (I used the night setting of the camera with 3s exposure time). 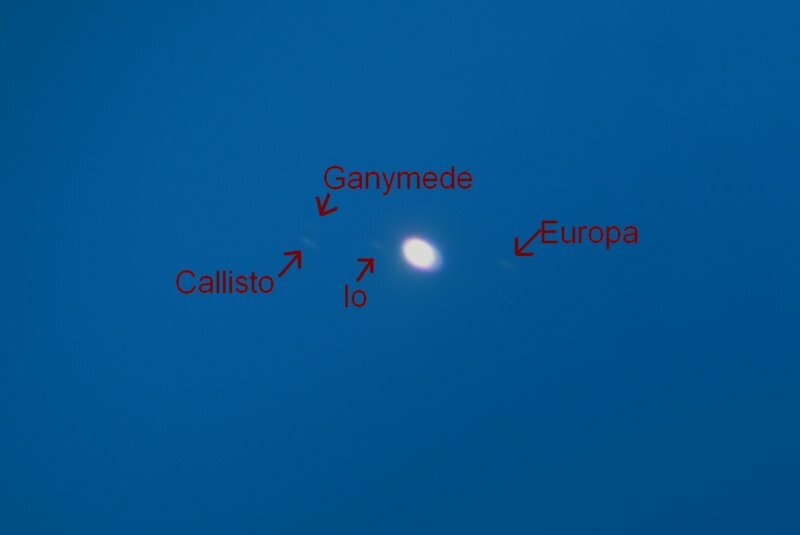 This exposure time was way too long, as seen by the trailes of Jupiter and its moons. Taken 08-05-2006.